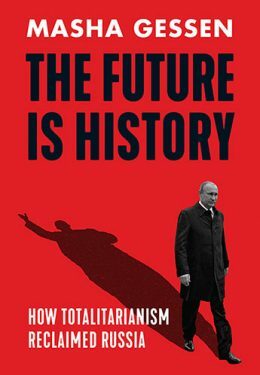 Masha Gessen, The Future is History: How Totalitarianism Reclaimed Russia. New York: Riverhead, 2017. 528 pages. I’m an American, Leningrad-born. That is to say, suspended between two cultures but immersed in neither. Growing up in the Soviet Union at the same time as several of the protagonists of Masha Gessen’s book, I left just as the country was falling apart, and eventually became an American citizen. Gessen departed a decade earlier, but in The Future is History she looks back from a similarly ambivalent standpoint. What has happened to her country, exactly, over the last three decades, and is it really hers? From her position as both insider and outsider, she is interested in two questions: can the country be understood and, more importantly, can the country ever understand itself? Gessen makes a nuanced, sometimes poetic, but ultimately overstated case that the Russian people are suffering from a kind of collective trauma. Putin’s totalitarian veil has left people unable to confront the sources of their suffering, and sometimes robs them even of the language to understand it. But this lack of self-understanding is not just imposed from the top. 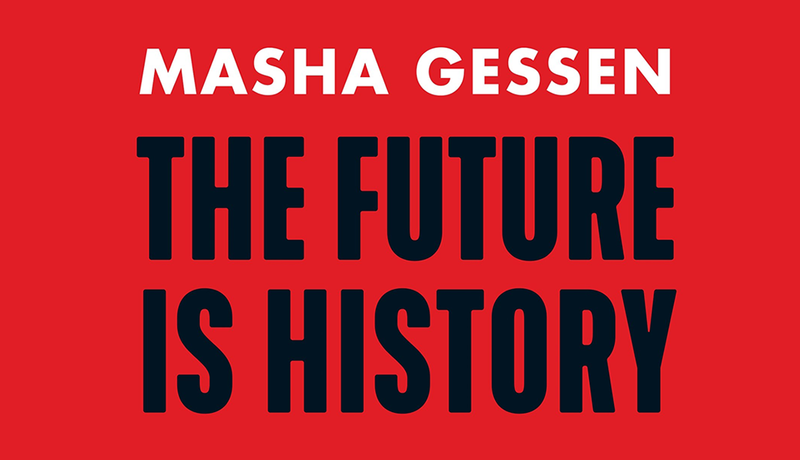 In Gessen’s story, the Russian mentality has never really moved past the lumbering Homo Sovieticus – the apathetic conformist who appeared to have gone extinct after the Soviet collapse. After an anxious hibernation during the 1990s, Homo Sovieticus has returned to embrace cheap nostalgia and cheaper patriotism. The government is happy to promote these feelings by feeding the public a procession of scapegoats both foreign (George Soros, the CIA) and domestic (gays, liberals). The result is a refusal to confront Russia’s problems openly and honestly. People wear social masks that immobilize their real faces. For Gessen, the underlying implication is bleak: no collective reckoning, no collective healing. Yuri Levada and Lev Gudkov, two Russian sociologists, attempt to use opinion polls – a novelty in post-Soviet Russia – to understand the beliefs and grievances of fellow citizens. As Putin consolidates power, their research centre increasingly comes under suspicion, forced to register as a “foreign agent” and curtail its activities. Lyosha Gorshkov, a young gay academic, researches the politics of Russian sexual minorities, a topic considered taboo in Soviet times. Amidst rising antigay violence and mounting criticism of his work (a colleague informs him there “are no lesbians in Russia”), he is forced to seek asylum in the United States. Aleksandr Dugin, adrift after the Soviet collapse, seeks a uniquely Russian philosophy that will set the country on the path to redemption. Among the book’s recurring characters he is, sadly, the most successful in his quest, although the result is not self-knowledge but a curdled mix of fascism and mysticism. And so forth. The narrative cuts between seven of these stories, but the book keeps from becoming disjointed through the unity of its central arc, which runs across the lives examined and echoes the country’s larger trajectory: rebirth, exploration, failure, disillusion. Though Gessen clearly sympathizes with the Russian liberals, the failed search for self-knowledge cuts across the ideological spectrum. When opposition leader Boris Nemtsov urges his daughter to run for office, he stresses the need to highlight “democratic values.” His daughter, astutely, notes that her potential constituents are more concerned about decent trash collection than the high-minded but ultimately meaningless slogans espoused by the liberals. Despite its sweeping scope, the book is self-consciously selective in who gets to serve as standins for the Russian story. The protagonists are educated, mostly liberal, mostly Western-oriented (with the exception of Dugin, who periodically pops up as the dark soul of post-Soviet Russia). As a result, we never really get a glimpse of the “other side” – the people who continue to support Putin (even if they might oppose his policies), and who would see the book’s characters as stooges or troublemakers. They are instead relegated to the grey mass of the Homo Sovieticus: fearful of one another, cynical about their government and resentful of outsiders. The problem with this explanation is that it renders the country’s resurgence of homophobia, racism and xenophobia as something rooted in the Russian spirit. There is a degree of cultural essentialism in proclaiming that Homo Sovieticus never died, in fact cannot be killed, and now trudges golem-like, with the aid of Putin’s government, into an illiberal dystopia. An explanation focusing on collective trauma diffuses the blame, however unintentionally, instead of focusing it on the people at the top. More delineation between Putin’s government and his “average” supporter might have been helpful in highlighting just how much the lack of self-knowledge has become a liability among the elite. The bizarre, at times surreal, response by Russian officials to the poisoning of Sergei and Yulia Skripal in Britain has highlighted a level of disconnect between reality and elite mentality that Gessen undoubtedly would have recognized as a telltale symptom of denial. Over the past two years, we have repeatedly seen how the blinkered cynicism of Russian elites prevents them from fully understanding not only themselves but the world around them. With the election of Donald Trump, many in the Russian government expected an American version of Putin, someone who would drop the hypocrisy and rule unilaterally – even perhaps, in a manner that might benefit Russia. These hopes were quickly dashed when it became clear, for example, that Trump could not unilaterally lift sanctions without Congressional approval. Gessen might not call this kind of response a form of trauma, but it’s certainly a kind of psychological barrier. If we do bad things, the reasoning goes, it’s because everyone in the world does them too. Increasingly, this does not appear to be a uniquely Russian approach. Because the book presents Russia’s problems as rooted in the inability to confront its troubled domestic history, it misses the chance to draw parallels to similar developments in other countries. Is the far-right resurgence in other countries also a result of their own Homo Sovieticus? Or is there something else driving these trends that a focus on national trauma alone cannot explain? As storytelling, the book is a great achievement. As an analytical framework, the book is curiously insular about its subject. And then there’s the subtitle. Despite her attempts to justify the term, Gessen’s use of “totalitarianism” is neither convincing nor necessary for her broader argument. Putin’s regime lacks a totalizing ideology, and is not simply a neo-Stalinist government dressed in more fashionable clothes. The crimes of totalitarian rulers are arbitrary, and it is that capriciousness that infuses everyday life with terror. In Russia, by contrast, certain understood rules govern public life and codes of behaviour. The distinction between private and public freedom – between chatting with friends around a kitchen table and protesting in Red Square with a placard – is still maintained. The state simply does not reach deeply into society with the level of infrastructural power expected of totalitarian regimes. Moreover, totalitarianism assumes a unity of purpose that the Russian government sorely lacks. Though observers in the West may sometimes think of Putin as the all-seeing autocrat at the centre of a giant web, in reality the government is far from a monolithic entity. 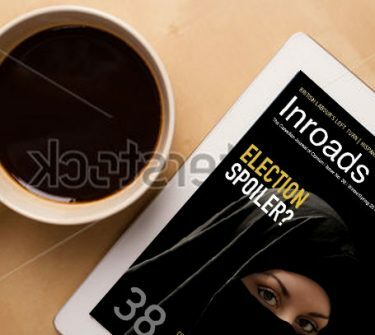 Operating through improvisation and informal connections, officials create what the journalist Mark Galeotti has called an “adhocracy.” The country’s political system is many things – autocratic, fragile, revanchist and insecure – but not totalitarian. Claiming the label for it actually undercuts Gessen’s broader argument about the complexities of failed self-understanding, because it radically oversimplifies the sources of that failure. Despite its flaws, the book avoids the patronizing tone of liberal well-wishers. It is a serious, honest attempt at collective reckoning through individual self-reflection. The stories it tells are worth reading even if the explanations for those stories are partial and coloured with Gessen’s own presuppositions. After all, in the quest for self-knowledge, what else can one hope for?